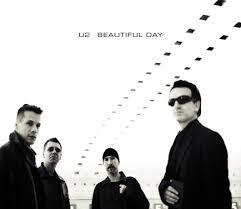 The jarring blare of the goal horn is softened when U2’s “Beautiful Day” rings through the arena after an Alfie score. 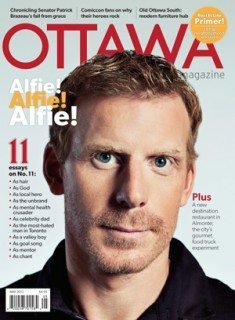 It’s been Daniel Alfredsson’s goal song for years and shares some qualities with the team captain, namely in that it’s inoffensive, appeals to the everyman, and is loved by the masses. You can’t really hear it beyond the faint introductory beats, anyway, because when Alfie scores, the swell of ovation in the stands dominates and the choral-like echo of the sustained background vocals of “It’s a beautiful daaaaay” amplify the crowd’s wails to epic levels. It’s likely the effect of the unfortunate acoustics of an arena, but somehow the song gives a vaguely religious undertone to the experience of an Alfie goal. It’s but a brief sortie: the song fades out by the time his teammates are man-hugging their captain and head-butting one another in celebration. Still, on an atmospheric level, it’s fitting. Here, devoted fans often refer to Alfredsson as God, a declaration recently backed up by iPhone — and Siri. Biblical numerologists would have a field day with this, since the number 11 is said to be an important number in The Good Book, representing chaos and duality. Eleven is stamped on Alfie’s jersey, he was born on December 11, and he’s five feet 11 inches. To the logical and level-headed, these are mere coincidences and a mind-wandering exercise during the early strains of U2’s mind-numbingly boring song. Have they written anything with impact since War and Under a Blood Red Sky? It’s up for debate, but the band will always have a fan in Alfie. He paid the band the ultimate hockey-dad tribute in naming the Alfredsson family dog Bono.